Order in the next 7 hours 28 minutes for delivery on Thursday, April 25. 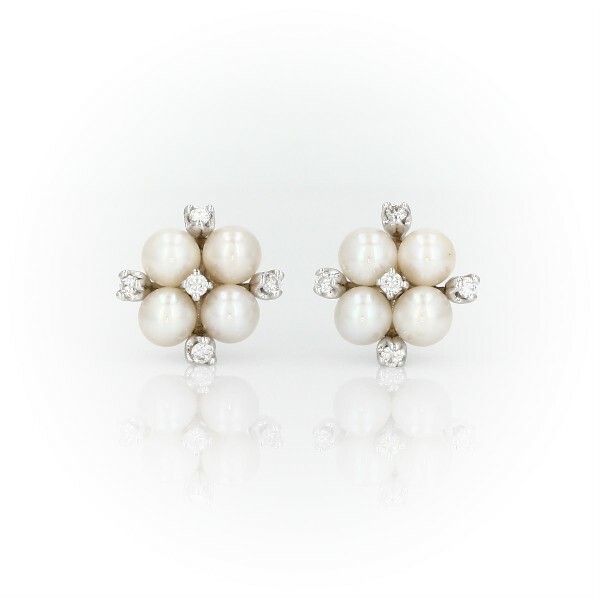 These Akoya cultured pearl and diamond cluster earrings put a nostalgic take on the style with just a touch of mid-century flair. Eight round, lustrous white pearls are clustered around ten round-brilliant cut diamonds, and set in classic white gold, for a look that is both timeless and on-trend.